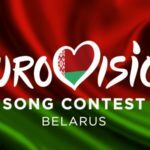 The national broadcaster of Belarus, BTRC, comfirmed to Euroradio.fm that it is planning to hold a national final in order to select its Eurovision 2019 entry. Yes, we are working in this direction. As soon as we are ready to announce the position of selection to the press, we will do it on our website and let us know in the news. The selection is planned, the work goes. In the previous months there was high speculation that the broadcaster would delay to make any announcements about national selection process, as it was caught up in hosting Junior Eurovision on November 26. Therefore whatever delay is justified under these conditions. Last time Belarus was late in revealing the format using to select its Eurovision entry was in 2011 when it eventually opted for an internal selection. Last year ,Alekseev represented Belarus in Lisbon with his song “Forever”, which failed to qualify to the final finishing 16th in the semi final. This was the worst result for the country since 2008.